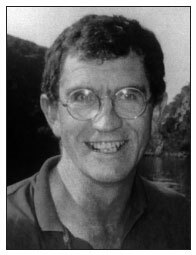 Dr Jerome Bosman was born in Mt Ayliff on 1 December 1949 and died in Kokstad on 28 July 2008. Jerome completed his schooling at St Aidan's Preparatory College, Grahamstown in 1968. He obtained the BSc degree in 1972 and MB ChB in 1977 from the University of Stellenbosch, where in 1976 he was elected as Head of House (Primarius) of Hippokrates Men's Residence and Executive Chairman, University of Stellenbosch Clinic Welfare Organisation. He obtained a Diploma in Anaesthetics from the College of Medicine (SA) in 1981, and certification in Ultrasound (1996) and Advanced Diabetes Management (1998). He completed his internship in 1978-79 and an extra year rotating through various departments at Frere Hospital, East London, followed by 1 year as a medical officer at Amcoal (Anglo American), Witbank, in 1980. He completed 2 years (1982, 1983) as an anaesthetics registrar at Johannesburg Hospital, University of the Witwatersrand, followed by 1 year as a senior medical officer in ophthalmology at Greenwich District Hospital, London. He returned to South Africa in 1984 to enter rural private practice in Kokstad, combining this with part-time medical officer sessions at the local EG and Usher Memorial Hospital. He remained in practice until ill health forced him to resign in July 2007. Jerome received the Anglo American Vocational Scholarship for Medicine from 1974 to 1977. In 1979 he was awarded the Rotary Study Exchange Scholarship to the UK. He participated actively in politics, serving as Chairperson of the Progressive Federal Party of SA, Kokstad, and subsequently the Democratic Party of SA. He was the Founder and Chairperson of the St Patrick's College Independent School Development Committee, Kokstad. The main sports field at the school was named the 'Jerome Bosman Oval' in November 2007. Jerome and his partners played an active role in establishing the Kokstad Private Hospital, which was opened in 2005. His active farming interests and being on his beautiful farm outside Kokstad provided excellent respite for him away from the rigours of medical practice. Jerome was a competent and caring doctor whose untimely death leaves a large void in the medical services to the people of Kokstad, East Griqualand and his many faithful patients from the former Transkei. Being fluent in Xhosa added to Jerome's large medical practice. He was a kind, dedicated and energetic doctor who had great passion for his work as a rural general practitioner. He had excellent communication skills and was a very good listener. He paid great attention to detail and excelled when managing really ill patients. He had a flair for anaesthesia and it was reassuring having him in theatre or the wards to provide guidance and assistance in managing difficult problems. He was skilled at diagnostic ultrasound, which added an important and valuable dimension to the provision of quality services for the region. Jerome was diagnosed with a large pituitary tumour (macroadenoma) in March 2006 followed by two partially successful endonasal trans-sphenoidal decompressions and radiotherapy. During March/April 2007 Jerome developed a personality change and non-specific neurological symptoms. A CT scan showed a large tumour in the left temporal lobe which was macroscopically removed and the histology confirmed an anaplastic grade 3 oligodendroglioma. Surgery was followed by chemo- and radiotherapy. After initial good progress Jerome became increasingly confused with episodes of aphasia. His condition deteriorated until he lapsed into coma on 25 July and passed away peacefully on 28 July. Jerome married Michéle Leslee Oosthuysen in 1981 and they had 4 children - Piet, Mark, Paul and Mieke. All four children became head prefects at St Patrick's College, Kokstad. Jerome was a great family man and believed in the concept of the family unit; the Bosmans' belief has always been that a family that prays together stays together. They are known for their hospitality and the farm has always been a wonderful and welcome haven for family and friends. Jerome received great support from his family throughout his professional career and the difficult last two years of his life. He bore his illness with great fortitude, strength and courage; his faith in God never waivered. We salute a great husband, father, doctor, colleague and friend.